The necessary introduction to the city from the panoramic point of Piazzale Michelangelo. The 1300 City Wall, with towers and gates, a short drive to the centre. 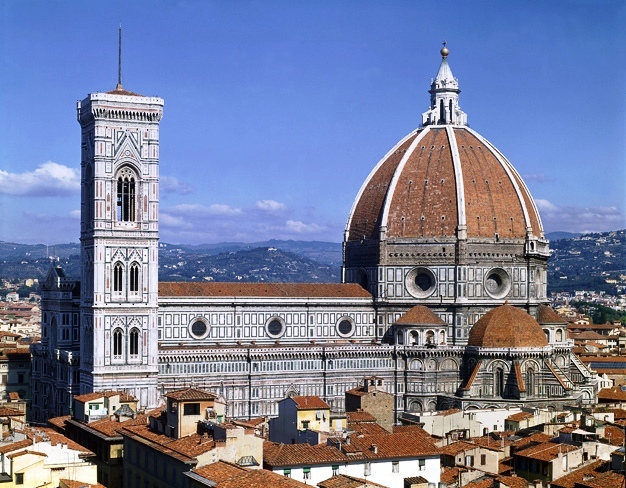 We then start our walking tour to see the major attractive buildings of Florence as “Palazzo Vecchio”. Then “Piazza della Signoria”, “Piazza del Duomo” with the Cathedral, the Baptistery and the Tower of Giotto. The morning ends in the famous Mercato Centrale, where all Florentines still buy their traditional food. On request traditional lunch in a characteristic “Trattoria”. 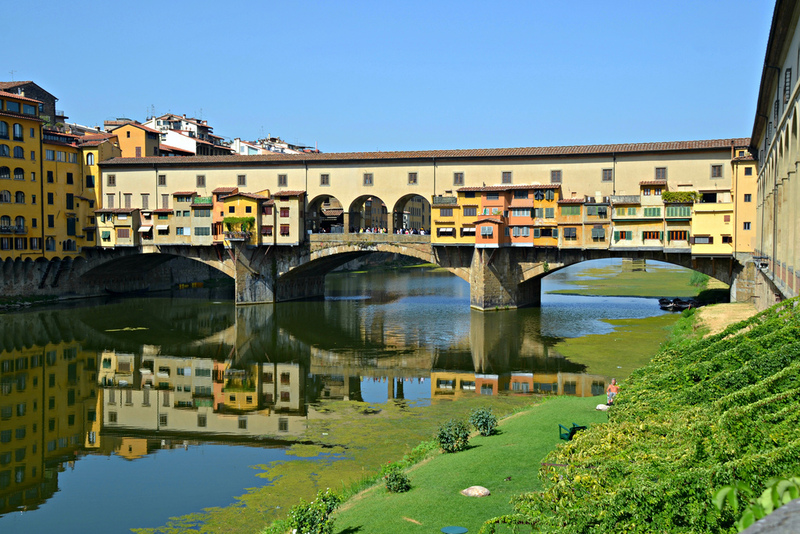 Florence, the cradle of Renaissance, was definitely a city built to inspire! And, it is no surprise that it was voted the most beautiful city in Europe. Our tour begins at one of the most breathtaking and picturesque spot: Piazzale Michelangelo. Nearby we will see the 1300 year-old city walls with towers and gates. This is where we begin our short drive into the city center. Florence is a great city to walk in. 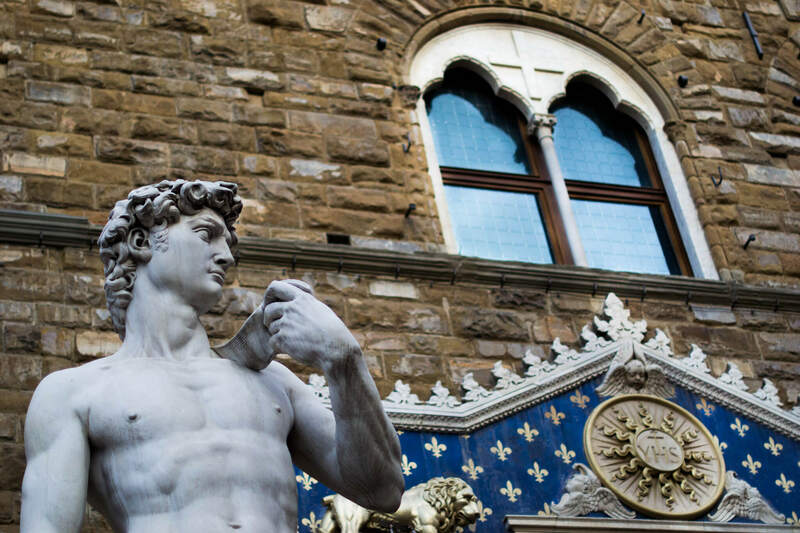 Walking is the only way to experience and discover its architectural gems: Palazzo Vecchio, Piazza della Signoria, the Cathedral, the Baptistery, the Tower of Giotto. Our tour ends at the famous Mercato Centrale, where we will find Florentines still buying their daily traditional food.